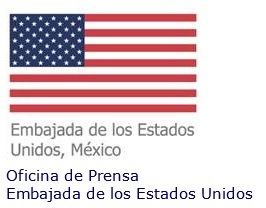 Mexico City, November 8, 2018 — Government and private sector representatives from the United States and Mexico met to discuss our ongoing cooperation efforts in energy. Co-chairing the 5th meeting of the U.S.-Mexico Energy Business Council were Acting Deputy Under Secretary Sarah Kemp from the U.S. Department of Commerce, Deputy Assistant Secretary Beth Urbanas from the U.S. Department of Energy, Under Secretary Juan Carlos Baker from the Mexican Ministry of Economy and Director General Nicole David from the Mexican Ministry of Energy. Additionally, this was the first meeting for new private sector members from the United States and Mexico, who will be serving two-year terms through 2020. During the meeting, companies focused on developing their priorities for the upcoming two-year term, including identifying functional workstreams and interim milestones to address priority issues. Throughout the day, representatives discussed areas of collaboration related to the Council’s key interests: the North American Electric Reliability Corporation, Mexico’s Energy Regulatory Commission, and Mexico’s National Center for Energy Control discussed efforts to enhance the reliability and security of U.S.-Mexico interconnected power systems; the U.S. Coast Guard and the Mexican Agency for Safety, Energy, and the Environment provided an overview of U.S.-Mexico emergency response cooperation; and Mexico’s Petroleum Institute discussed efforts to address the workforce skills gap in the energy industry.